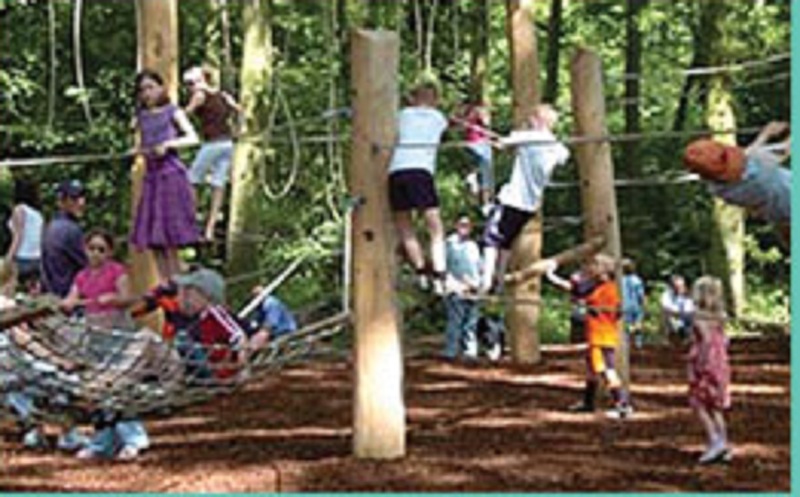 Wonder Woods at Stonor – where children up to the age of 15 will have hours of entertainment swinging, jumping, sliding, climbing and splashing. Younger children will have fun transporting super-soft sand and pumping water or letting their imagination run wild in the playhouse. There are rocking deer, a wibbly wobble dish, seesaw and slide too. Larger kids can throw their energy into climbing the Wonder Wood pile and twisty rope tangle. There’s also the 9m Pyramid Tower to climb and slide off, tree house, wavy slide, giant nest swing and spooky tunnel. And do you think you’ll be brave enough to try the 50 metre zip wire? Of course you will. Parents can relax at our picnic tables and giant log benches. Food, drinks and snacks are only metres away at The Chilterns Pit Stop Cafe, fully equipped with bathrooms, baby-changing facilities and high speed WIFI.